I will create power full link building in almost all top and popular social site # My service is mainly to strengthen the social signals of a website and the search engines will love it. 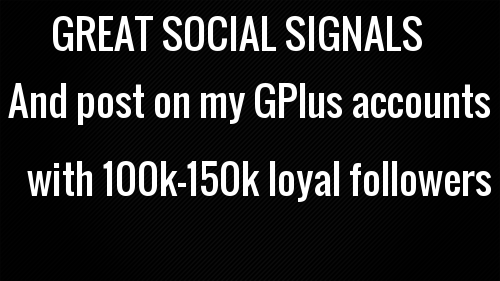 GREAT 8000+ SOCIAL SIGNALS n post on my G + account is ranked 5 out of 5. Based on 90 user reviews.